No Peeking is a Blind Theatrical Experience. While immersing the audience into the world of the show, it does so without the use of sight. Indigenous is a compilation of written works that discuss the indigenous Experience. Written pieces come from all over what is known as north america. Actors involved in this show were sourced internationally in order to keep integrity of endorsing diversity and indigenous people throughout the cast, crew, and writers. Genres span from songs and poetry to full length scripts and even case studies. The performance was prefaced by a land acknowledgement to the lenape people who inhabited the land on which we performed. The purpose of the show was to bring communities together and to begin the necessary healing process for natives by confronting the populations and opinions that surround them but do not know their history and current presence in society. 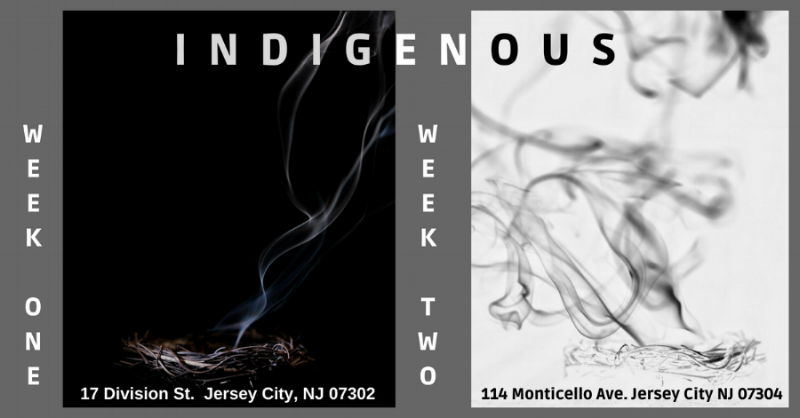 Indigenous was performed in jersey city at the Rushmore Building in downtown Jersey city and at the Jersey Art Exchange in June of 2018.